Recently I stumbled on the term "unscalable hack", in a blog post by Chris Dixon. This really struck a chord with me because it's a very important concept for many startups but I didn't have a term for it until I read Chris' post. What exactly is an "unscalable hack"? Google doesn't return a lot of useful results and neither does Quora, so let me try to explain it. In the context of programming, using an unscalable hack means programming something in such a way that it works under very specific, limiting conditions (e.g. with very few concurrent users) but won't work with a larger number of users. The advantage of a solution like this is that it doesn't take a lot of time to develop so it saves you money and time, but the disadvantage is that it, well, doesn't scale and that you're accumulating technical debt. In a business context, unscalable hacks are actions that you use to dramatically decrease time-to-market, solve chicken-egg-problems or overtake competitors, all the while knowing that you can't operate like this forever. In some cases the success of these hacks can be a make-or-break factor for a startup. Marketplaces and social networks are particularly prone to these tactics since these types of businesses require you to reach a certain critical mass in order to be successful. Take an auction site as an example: As long as there aren't many buyers on the site, it's not attractive for sellers to list their items on it. And as long as there aren't many sellers, the site is not very useful for buyers. 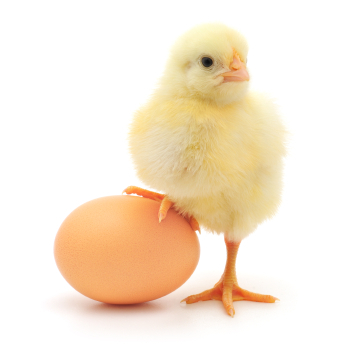 It's a classic chicken-egg-problem, and unscalable hacks can help you solve it. AirBnB offers people who want to list their apartment on the site professional photo shootings of their apartment for free (maybe this actually isn't unscalable, I don't know). Lead generation marketplaces which send free leads to the supply side in the beginning and generally invest a disproportionate amount of money and time into acquiring the first providers. Mobile app creators who hope to start a virtuous circle by buying their way into the app store top listings. In SaaS, a good unscalable hack is to spend huge amounts of time with your early users to turn them into happy users and evangelists. Solving the chicken-egg problem that is inherent to marketplace-like models is so mission critical that it sometimes leads to unscalable hacks that are ethically highly questionable, for example dating sites that use faked profiles to attract people to their sites. The oldest well-known unscalable hack, or maybe a close relative of it, is maybe to give away oil lamps and make money by selling the oil. :-) If you know any good ones from the more recent past I'd love to hear them!